First and foremost, it is our express purpose to sow the love of Christ into the hearts of children anywhere God choses to send our finished work. 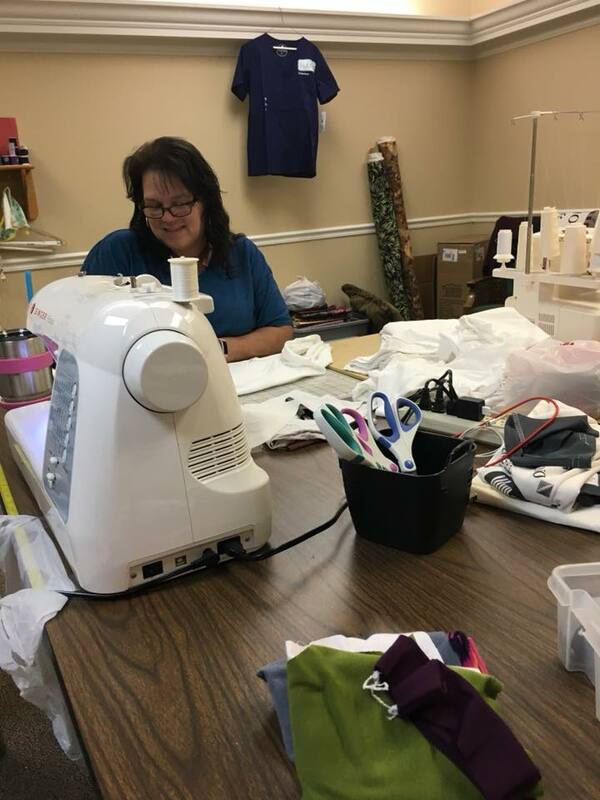 Additionally, we purposefully share God’s great Glory with all who come to work in The Sewing Suite; not only to bring encouragement to fellow Christ followers, but to bring hope to those adults who God sends our way that may yet be lost. 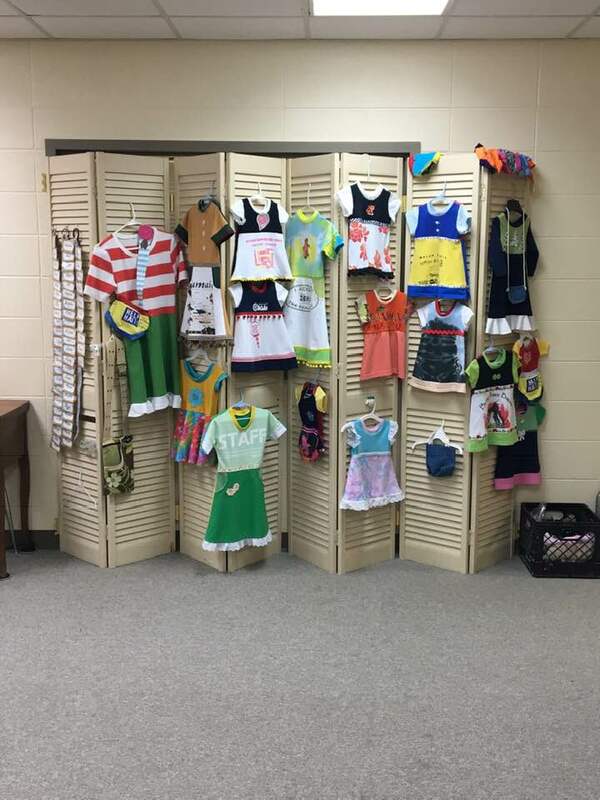 Real Hope for Haiti (Indiana) missionary, Deanna Newmann, was the initial missionary using items made from up cycled t-shirts. She continues to take 50# of items two to three times a year. RHFH is a hospice center for babies and children. They also offer healthcare clinic services to the surrounding villages. 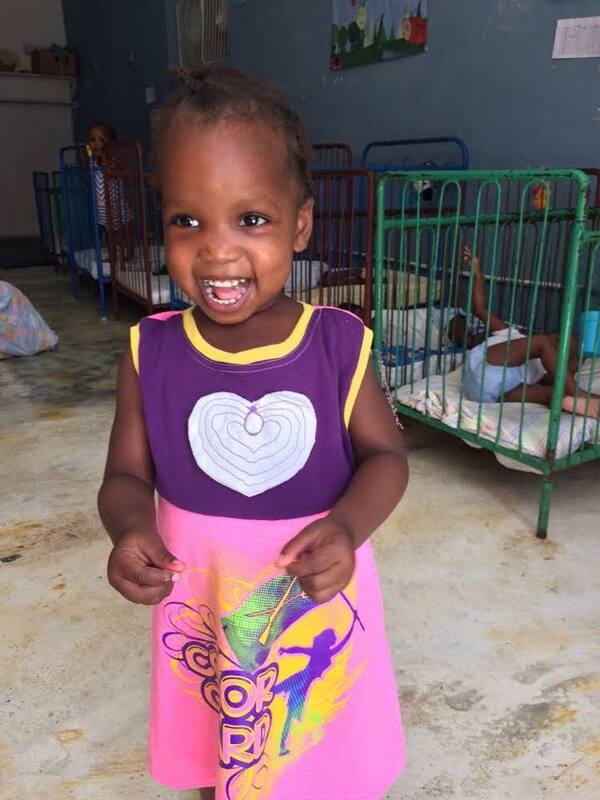 Vapor Ministries (Opelika, Al) missionary group took 50 dresses to one of their people groups in Haiti, Spring 2018. Laborers With Christ (Alta, Ia) received their first shipment of dresses Summer 2018. They work with villagers on agriculture for sustainable income as they bring the Good News to many. Abaana’s Hope Village (Four Corners Ministry, Opelika, Al) have an ongoing request with our ministry for underwear and reusable menstruation kits for school-age girls. Their first batch was sent Summer 2017. Hope House received their first shipment of dresses Summer 2018. They rescue abused girls (some as young as 11) in the Amazon jungle region. One hundred dresses were donated, Summer 2018, to Franklin Graham’s Christmas Shoeboxes program. 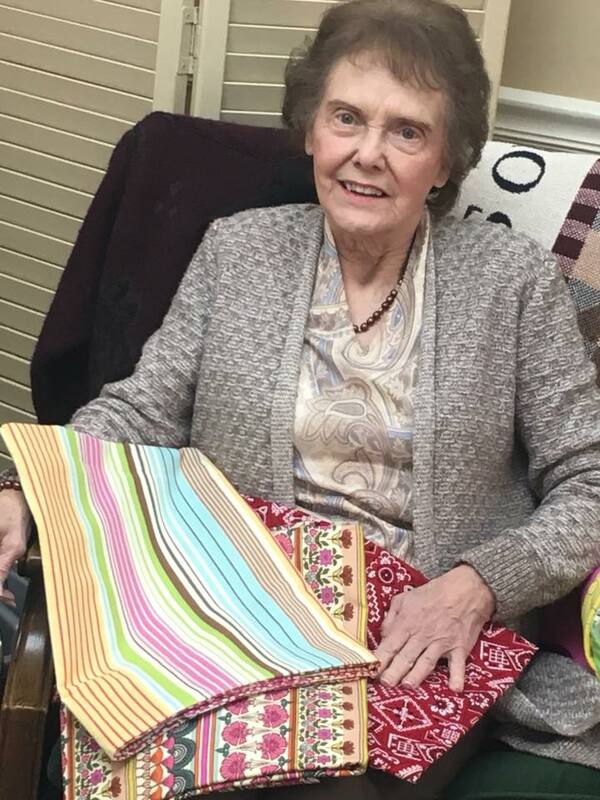 The Elizabeth Project International received bereavement blankets on an on-going basis. They serve women who’ve been outcast by their village due to miscarriage or still-birth. The blankets are used by the ministry to open the doors to sharing the Gospel and the Love of Christ. Integrative Medicine, a mission that uses sustainable methods to support quality healthcare, education and community development in rural Tanzania. We provide Mommy & Me kits (backpack, aka diaper bag, baby gown and cap, and warm blanket) as well as reusable menstruation/postpartum kits. 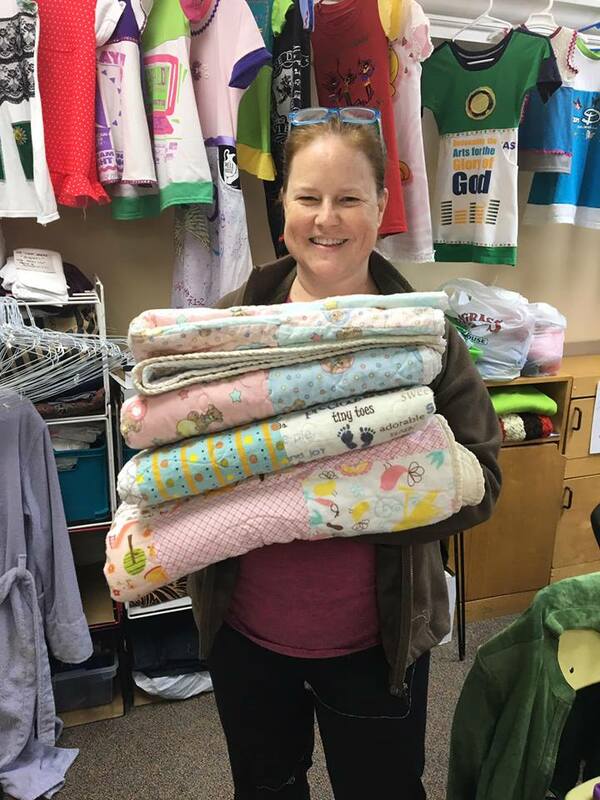 Baby blankets are a sideline ministry of a few of our volunteers. Blankets are made from all the odd-bits and donated on a regular basis. 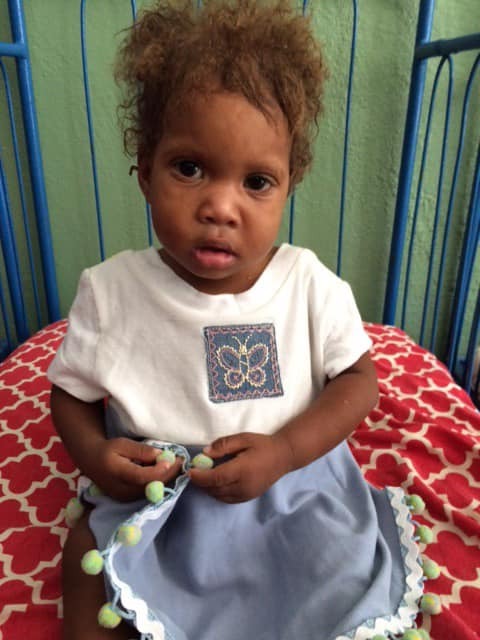 This ministry has requested clothing for young children being removed from difficult family situations. We are still working to identify their specific needs. We mend all items with useful life left in them and send to this ministry. All quality women’s clothing that will help women in Birmingham dress for a job/job interview are cleaned/repaired and donated to this wonderful, life changing ministry. 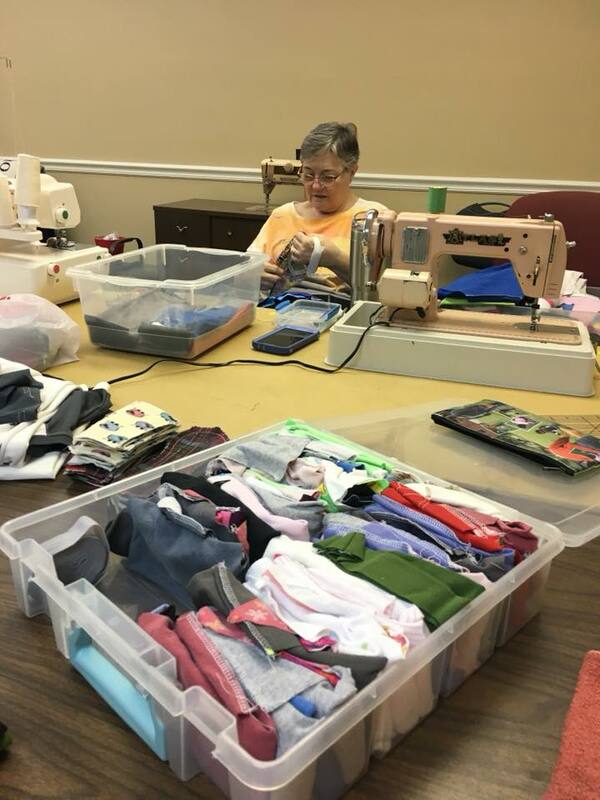 A mission-minded group of believers from Tallahassee, Florida came to Huffman Baptist Church to learn how we run an upcycling sewing ministry, how we make the clothing, and how we use both the “making” side and the giving side of the ministry to spread the Good News. They intend to use what they learned to reach out to underprivileged girls in their area. Five believers from Orlando, Florida had Linda Jacobson conduct a training session in their community to teach them how to make the clothing, and to explore how they might use the opportunity to bless children in their area. They are surrounded by migrant orchard workers and their families. The need is great. Women from two churches in Iowa asked Linda Jacobson to conduct a day-long seminar on setting up and running a ministry like We Sew Love. They learned how to harvest donated clothing, cut and sew the basic a-line dress and ways to identify people groups in need. The work accomplished during the event went to Haiti the very next day with the founders of LWC (Laborers With Christ). Both groups of women are now working to get volunteers and supplies set up for ongoing work. 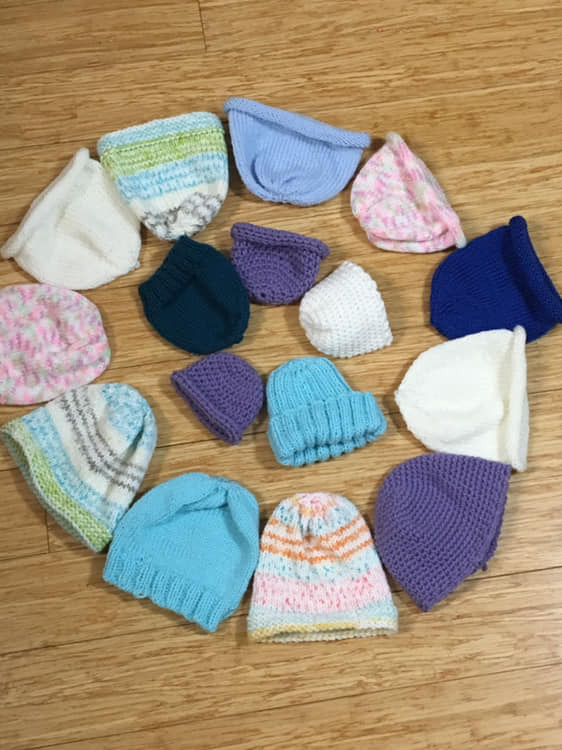 Pawnee Baptist Church started a We Sew Love group in November 2018. Their mission was to provide dresses and shorts for all the children in the orphanage they support in India. 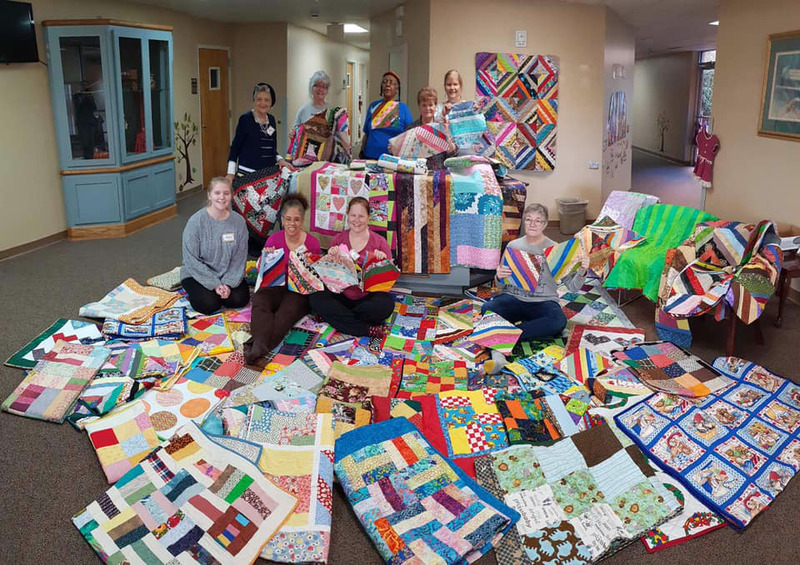 Since then, they have begun up-cycling t-shirts into adult bibs and lap robes for a nursing home in their neighborhood, menstruation kits for a missionary to take to Jamaica, and assisting the Huffman group. Magnolia dress w/kangaroo pocket in sizes ranging from size 4 to 14. These will fit adults in some of the people groups we serve. Simple, elastic waist, with two colorful pockets in Small, Medium, and Large. Boys from age 4 to 16 will fit. Unisex Children’s undies are made in extra-small, medium and large. Boxer-briefs are a new item we are beginning to test with a variety of our ministries. A purse or backpack is filled with a set of reusable menstruation pads for school-age girls. These often make the difference of continuing her education or becoming a drop out. A recent shipment of backpacks was used by RHFH to give to the mothers of hospitalized children. They will use the backpacks to carry needed items when they come to visit their child. Leak-resistant pads (30″ x 30″) are used at the hospice center (RHFH) for the patients who are bed-ridden. They provide the caregivers much needed help with keeping the beds clean without having to change the entire bedsheet 10 times a day. 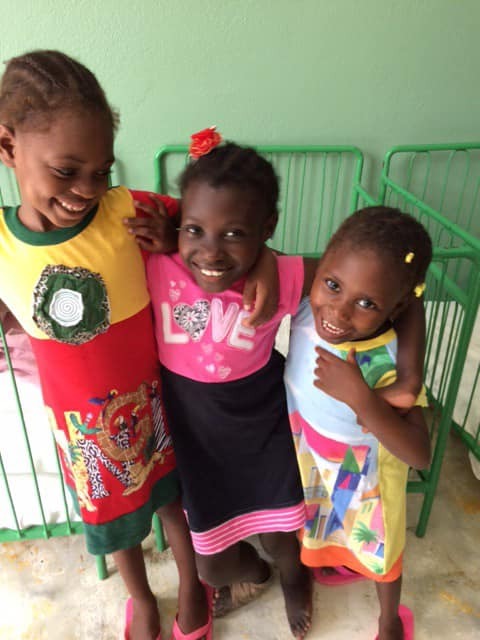 RHFH has an on-going need for white burial gowns … it is the reality of their ministry and a wonderful way to spread the gospel. Our gowns all include an embroidered cross, giving the missionaries another opportunity to share the Good News of the cross.